DALLAS, Nov. 1, 2018 — Hacking a few of your traditional recipes this holiday season is smart for your heart. To help, the American Heart Association’s Healthy for Good™ is providing its latest recipes and science-backed health tips. 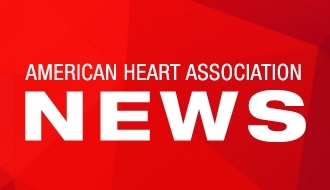 The American Heart Association, the leading voluntary health organization devoted to a world of longer, healthier lives, will host Eat Smart Month activities throughout November, which is known as Eat Smart Month. If you’re tripped up with a dietary dilemma, Chumbley suggests taking small science-backed steps and avoiding one common mistake: putting good habits on hold. To be at your peak this holiday season, try these eight American Heart Association-approved recipe hacks and download the Holiday Healthy Eating Guide at heart.org/eatsmartmonth. Replace salt with herbs and spices. “Lemon juice, citrus zest or hot chilies can add extra flavor without the added sodium,” Chumbley said. Swap non-fat, plain Greek yogurt for sour cream. “You’ll be surprised how sneaky this switch is when it comes to texture and flavor. Be sure you choose non-fat, plain Greek,” Chumbley said. Instead of butter, use a healthier vegetable oil or substitute equal parts unsweetened applesauce when baking. “Cooking with unsweetened applesauce is one of my favorite recipe hacks, and I always keep it on hand for baking,” Chumbley said. Sneak in a vegetable like pureed sweet potatoes, carrots or cauliflower to boost nutrition. Chumbley recommends keeping frozen cubes of purred vegetables in the freezer so they’re ready to go. Go for half and half — half wheat and half white flour, that is. “Whole grains are a great nutritional boost and mixing the flours helps disguise the swap,” Chumbley said. The American Heart Association, @AHAlivehealthy, is hosting a #DietDilemma Twitter chat 1-2pm CT on Eat Smart Day, Nov. 7. American Heart Association Heart and Torch logo with Healthy For Good text.